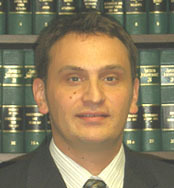 Welcome to the website of The Law Offices of Michael E. Douglas, St. Paul Lawyer. 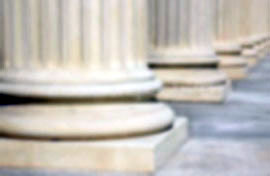 Located in St. Paul, I am a lawyer who represents clients that need assistance with a number of legal issues, ranging from a car accident to a dog bite. I have an unquestionable commitment to my clients. I care deeply when I meet someone who is hurt or a family that is struggling due to the careless actions of others. I demonstrate my commitment by making house calls when injuries make travel difficult and by answering your telephone calls personally, night or day. I'm an attorney representing clients injured by a traffic accident, a slip and fall, medical malpractice, wrongful death, premises liability, an animal attack, whiplash, a defective medical device, a dog bite, and defective drugs. In addition, I help people suffering from back, spine, or neck injuries and help clients obtain social security disability benefits. At my Saint Paul law firm, I care about you and your well-being. I am a St. Paul personal injury lawyer who takes the time to listen to you, and I understand the pain and frustration you feel as you try to deal with insurance companies dealing in bad faith, insurance company doctors, and others who want to deny you compensation for a personal injury you have suffered. The Michael E. Douglas law firm is a Saint Paul Minnesota lawyer practicing all aspects of personal injury representing clients in the St. Paul area. Contact me, and let me know how I can help you. If you have suffered a personal injury, it's important you know your rights and have a personal injury lawyer fighting for you. Whether you have been injured in a car wreck or in an animal attack, through hospital negligence or medical malpractice, by a defective product or dangerous drugs, or if a loved one has suffered nursing home abuse or a wrongful death, call or contact me anytime you have questions about your legal rights. I represent people who live in and around the Minnesota Twin Cities, including Arden Hills, Blaine, Cottage Grove, Eagan, Falcon Heights, Inver Grove Heights, Lake Elmo, Lino Lakes, Little Canada, Mahtomedi, Maplewood, Mendota Heights, North Saint Paul, Oakdale, Roseville, St. Paul, Shoreview, South St. Paul, Vadnais Heights, West Saint Paul, White Bear Lake, Woodbury, and many other cities.